The problem with commuting are the trains themselves. Between delays and breakdowns, they can be a nightmare. The trains might be every few minutes, but if you need to get to a certain station by a certain time, it might help to know about delays in advance. To find that out in the past you had to go on the rail service's website, but that can be a pain. Now Twitter and Transport for London have banded together to improve on that. 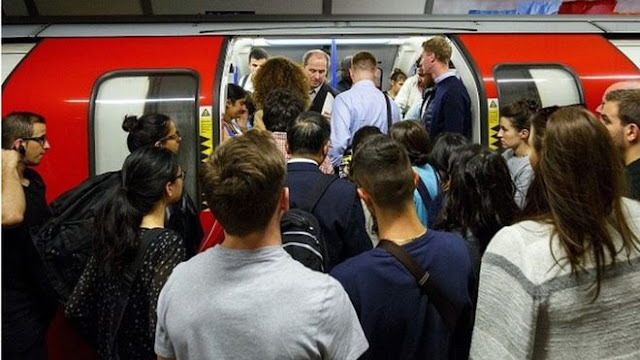 Commuters will have to be connected to the tube station WiFi and then they need to sign up for the updates on the TfL website. You'll be able to select the lines you travel on regularly and then as soon as something happens, you'll get an alert about it. So many of us are on Twitter and this just makes the process of finding out what's going on so much more streamlined. This is a world first service and is being introduced in London due to the new Mayor of London's aims to make it as easy as possible to get around the capital. If it works here, then they might be able to use it in places like New York and Tokyo as well if they don't decide to move it out to all train services across the world. With everything that's been going on with Twitter, this was an interesting way to handle regular updates. A lot of people use Twitter to find out what's going on with train services anyway so notifications through Twitter do make sense. However, a lot of people are stepping away from Twitter and the regular notifications you get if you do use it even once on your phone are incredibly annoying. It doesn't seem likely that more people will either start using Twitter or just using it more regularly for the sake of train updates. This is an innovative use of social media and a very practical way to keep up with travel updates. It means that if you need to stop at a different station on the way to catch your train, you can find out before you get to the station. Hopefully this is something that will roll out everywhere and soon.